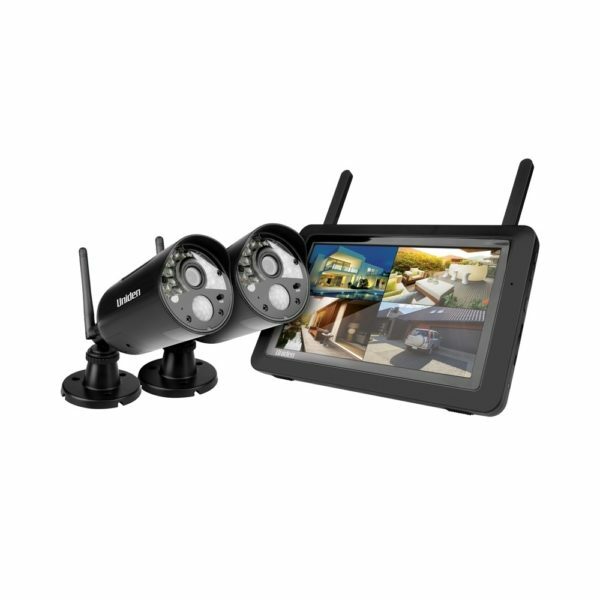 Guardian® Full HD Digital Wireless Surveillance System with 2 Weatherproof Camera UNI-G3720 Introducing the latest in Wireless Surveillance Systems. Uniden Guardian is a new wireless solution designed for households and small business that want an exceptionally user-friendly. 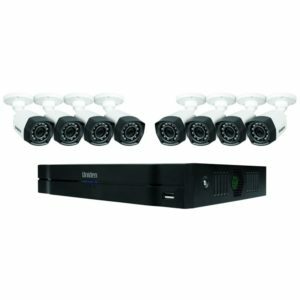 Full High Definition 1080P digital encrypted video audio surveillance system. 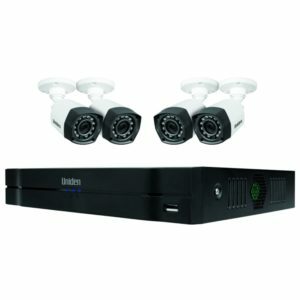 Ideal for monitoring both inside and outside of properties, the Uniden Guardian is the ultimate all-in-one security system for the home. The G3720 provides two weathproof^ camera and a 7″ touch screen tablet. 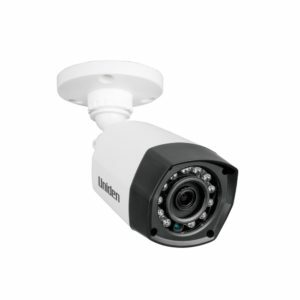 To extend the flexibility & functionality of your system, you can also choose an optional Motion Detection Spot Light Camera (G3700L) or Weatherproof Outdoor Camera (G3700 included). Offering wireless ‘plug and play’ functionality, Uniden Guardian is a true DIY security solution for the home. Set up is easy and can usually be completed in a matter of minutes. 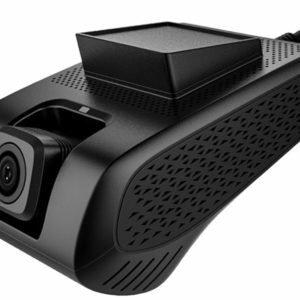 Guardian utilises the latest digitally encrypted FHSS technology to protect families against eavesdropping and hacking, while ensuring crystal clear, interference-free transmission of video and audio signals to a range of up to 150 metres between camera and monitor. 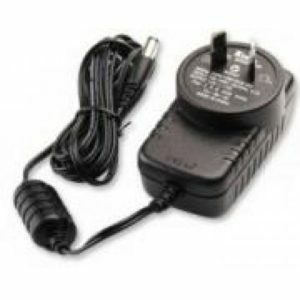 The G3720 allows you to respond quickly when there are unexpected movements viewed in real-time or you can review in the stored recordings. The included 8GB USB card allows you to continuously and simultaneously record with extendable USB card up to 64GB‡ backup giving you greater security protection in your home or business in any environment. This integrated system offers exceptional Full HD resolution and quality enhancing efficiency and monitoring capabilities. The G3720 can also be viewed at night with night vision up to 12 metres offering versatility that is needed in day and night environments. Monitor your home or business using our Free Uniden Guardian FULL HD App for iOS® or Android™ tablet or smartphone. 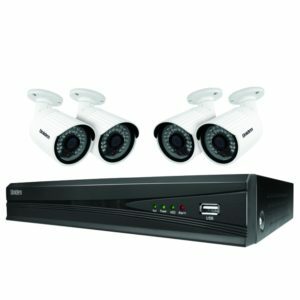 Uniden Guardian FULL HD APP is a simple, reliable and secure interface, bringing surveillance into your own hands, sending you intelligent push notifications or remotely view directly from the camera to your smartphone wherever you are in the world in real-time or review archived recordings. – Record footage direct to SD Card (8GB SD card included) ‡ Remote Viewing, Anywhere. Anytime. Download our Free Uniden Guardian FULL HD App to Smartphones and Tablets for Remote Viewing! – Compatible with: iPod Touch®, iPhone®, iPad®, Android devices™ Quad, Auto Scan or Individual Views Package Contents Includes: All items listed are new in original manufacturers packaging * 7″ Touchscreen * 2 x Weatherproof^ Outdoor Camera * 3 x AC Adaptor * 8GB SD Card * Ethernet Cable * Mounting Screw Kits ^ IP65 Weatherproof is defined as no ingress of dust; complete protection against contact (dust tight) and Water projected in powerful jets (6.3mm nozzle) against the enclosure from any direction shall have no harmful effects. 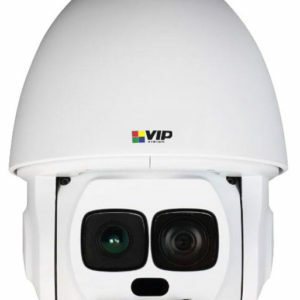 # Up to 150 Metres Wireless Range is line of sight only. Range performance is affected by factors such as : full brick walls, tin roof & large or multi-story houses. ‡ 64GB is the maximum SD capacity. Class 10 minimum speed for recording.